Be sure to check out Vinnie and the Lubricators if you're looking for some toe tapping, hip shaking, can't stay in your seat kind of music. It's always a music party! Vinnie and the Lubricators play your favorite 70's, 80's and 90's from top selling artists like Stevie Wonder, James Brown, The Bee Gees, The Police, Men at Work, The Allman Brothers Band, Bob Marley, and many more. Vinnie and the Lubricators have been mesmerizing and winning the hearts of thousands of clients with their authentic style of music mixed with their own comedic style of entertainment. A booking representative from Vinnie and the Lubricators will contact you within 48 hours of your gig request. 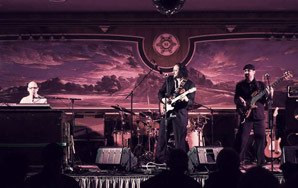 If you're craving some rockin', funky, bluesy tunes and some country t'wang be sure to check out Vinnie and the Lubricators, America's premiere “Rock, Blues, Reggae and Soul” review, with a lineup of songs sure to satisfy show-goers of any generation. 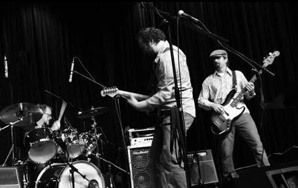 Vinnie and the Lubricators encompass a wide range of genres in their music, offering elements of classic rock, country, blues, and soul with hints of reggae and funk thrown in the mix. 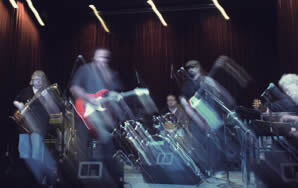 So, check out Vinnie and the Lubricators if you want some toe tapping, hip shaking, can't stay in your seat kind of music. IT'S ALWAYS A MUSIC PARTY!